The global e-commerce giant Amazon has been hit with claims that it has destroyed up to three million unsold products from French warehouses over the past year. The news comes a week after Amazon became the world’s most valuable public company in terms of market value. An investigation carried out by the French television programme, Capital, aired on Sunday (14 January), brought to light the allegation that 300,000 new objects were disposed of over the course of three months at a particular facility, after a journalist equipped with a camera went undercover at an Amazon warehouse in the Bourgogne-Franche-Comté region. Around 3.2 million new products may have been disposed of nationally in 2018 this way, according to to estimates from the French trade union confederation, the Confédération générale du travail. Speaking to the French newspaper Le Monde, Guillaume Cahour of the Capital programme said: “The Amazon system exacerbates over-production, because its principle is to offer a huge plethora of goods.” Le Monde said the destroyed products ranged from nappies to children’s toys. Indeed, one of the findings of the investigation was that ‘waste’ is financially more efficient than stockpiling unsold products. The conditions for vendors to store their products in Amazon warehouses feature a €26 per three-square metre charge initially, which rises to €500 after six-months and €1000 after a year. “Amazon is becoming more and more a marketplace rather than a retailer. 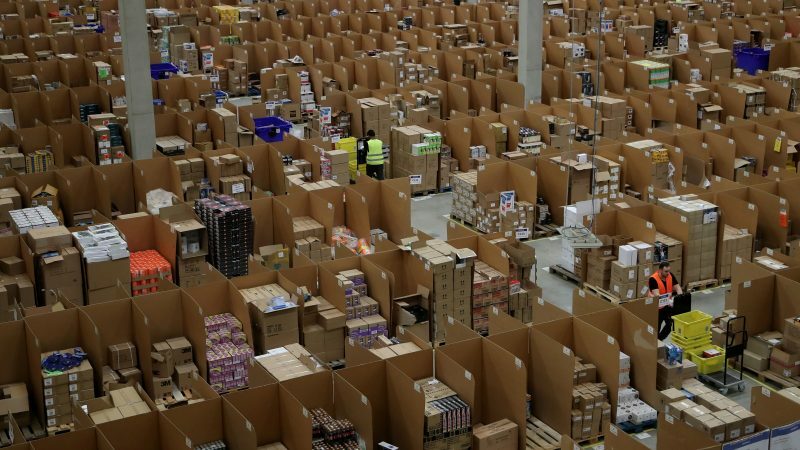 Amazon doesn’t own the majority of the products that are stocked in their warehouses.” Alma Dufour, from environmental NGO Amis de la Terre, told EURACTIV. Dufour added that the reason why there is such a large quantity of waste for Amazon is due to issues arising out of a culture of overproduction by which there is a race-to-the-bottom war on prices between global vendors on the website, saying that policymakers had a due to look at the legal frameworks in place that allow Amazon to work in such a way. “When we speak to EU citizens, they don’t understand why businesses destroy so many products,” Dufour said. France is not the first EU country to have unearthed problems related to Amazon’s mass disposal of products. In mid-2018, reports surfaced in Germany of a throw-away culture at Amazon, stating that employees had been quoted as saying they dispose of tens of thousands of new items every day, ranging from fax machines to vacuum cleaners and computers. The French government reacted vigorously. Brune Poirson, the French state secretary for the environment, said a new French law on the circular economy, currently being finalised, “will ban the elimination of products on marketplaces like Amazon”. “Producing to destroy is irresponsible and incomprehensible,” Poirson said in a TV interview with Capital. “Soon, it will also be punishable,” she added. La loi #économiecirculaire sur laquelle nous travaillons depuis 1,5 an interdira l’élimination des produits par les marketplace type Amazon. In early January, Amazon overtook Microsoft to become the world’s most valuable publicly listed company with a valuation of $797 billion. The company’s owner, Jeff Bezos, is the world’s wealthiest man with assets amounting to $135 billion.